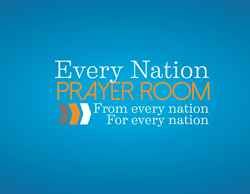 Every Nation Prayer Room—From Every Nation, For Every Nation—is inviting Christian intercessors to join us every day from 6 a.m. to 8 p.m. Bringing 24/7 prayer to the city of Fort Lauderdale is part of the vision and mission of IHOP Fort Lauderdale. International House of Prayer (IHOP) Fort Lauderdale Missions Base is partnering with OneHope and Praise FM to launch the Every Nation Prayer Room in Pompano Beach, FL, a suburb of Fort Lauderdale. Every Nation Prayer Room—From Every Nation, For Every Nation—is inviting Christian intercessors to join us every day from 6 a.m. to 8 p.m. The prayer room is located in the Forum Building at 600 SW 3rd Street in Pompano Beach at the rear of the building. “Bringing 24/7 prayer to the city of Fort Lauderdale is part of the vision and mission of IHOP Fort Lauderdale,” says Jennifer LeClaire, executive director of IHOP Fort Lauderdale, news editor at Charisma magazine and author of a number of books on prayer topics. The Every Nation Prayer Room is seeking volunteer intercessors to staff the prayer room, as well as musicians for live worship sets. IHOP is holding monthly orientation meetings for those who want to get involved in the prayer room at any level. With the appropriate participation, the prayer room will open 24/7 and continue lifting up the needs of the city, the nation, and every nation. IHOP-Fort Lauderdale is community of believers committed first to pursuing intimacy with God. Our prophetic mandate is to establish a night and day house of prayer in the Fort Lauderdale MSA. At IHOP–Fort Lauderdale, we are committed to prayer, fasting, and the Great Commission. As forerunners, we have keen understanding of the end-times and an eternal mindset—and both fuel our urgency to reach the lost even as we cry out for revival in South Florida. And as a missions base, our goal is to equip believers for the work of the ministry in this eleventh hour. OneHope is an international ministry that is changing lives by sharing Scripture with children and youth around the world. Our name, OneHope, reflects our desire to present the Living Word of God in an engaging way to children and youth. Jesus Christ is the one and only hope for eternity — and when we present Him to the next generation lives are transformed. Founded in 1987 by missionary Bob Hoskins and now led by his son Rob Hoskins, OneHope has a plan to reach every young person, in every nation, with a relevant Gospel message by the year 2030. Praise FM is a listener supported, Christian worship radio network, consisting of 8 stations and translators in the midwest US. Praise FM is pioneering worship radio, and making moments for you to abide in Christ. Praise FM has online listeners from nearly every nation on earth. Listen from anywhere at PraiseFM.org.